Don’t want to mess with downtown traffic, but want the luxuries of the big city? 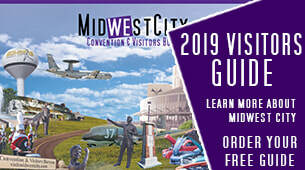 Then plan your next meeting or convention in Midwest City. Choose from either one of our local intimate venues great for community groups and small occasions or our state-of-the-art Reed Conference Center where guests will enjoy all of the large-scale necessities to hold a world-class event. 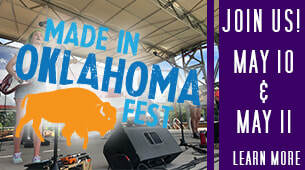 Midwest City is where to meet. The Rose State College Atkinson Heritage Center is the historic home of Midwest City’s founding father W.P. “Bill” Atkinson. The home is preserved as it was when built in 1955 and offers two conference rooms available to rent alongside its historic charm. The rooms offer capacities of 30 and 48 people. The renovated space in the Pony Barn offers a room to hold 96. Each room is multimedia capable complete with technical support and has catering available. For team building meetings, the Center offers ropes course certified instructors, professional facilitators, mediators, trainers and a free wireless hotspot. 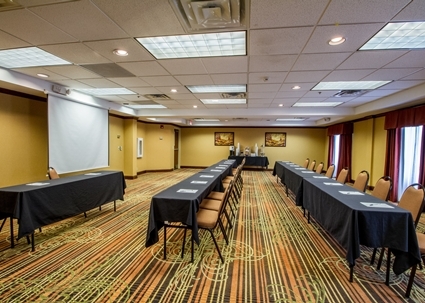 The Hampton Inn is equipped with two meeting rooms to serve your needs. The 400 square-foot Emerald Room will accommodate a maximum of 40 people and can be set according to your specifications using round tables, rectangle tables and banquet chairs. The room is equipped with a complimentary projection screen, podium and dry erase board. The Board Room is furnished with a conference table and eight captain’s chairs although it may accommodate up to 10 people. Rental of the Board Room includes a projection screen and a dry erase board for your convenience. The Hampton Inn can provide coffee, water and refreshments for a charge to both meeting rooms. Payment can be made upon contract signature or on-site. The meeting room available at the Hawthorn Suites has a maximum occupancy of 60 guests. Complimentary audiovisual equipment including a pull down screen, white board and flip chart are included with the room. The Hawthorn Suites is delighted to also offer complimentary coffee service and a water station for your guests. Outside food and beverage is allowed in, therefore the caterer of your choice may be selected. The Holiday Inn Express & Suites offers a 625 square-foot meeting room that will accommodate 35 people set theater style or 25 people set classroom style. As part of the rental accommodations, the staff is pleased to offer complimentary coffee and water service. Outside food and beverage is allowed in, therefore the caterer of your choice may be selected. Rental of a guestroom is required with rental of the meeting room. Home2 Suites by Hilton is conveniently located just north of I-40 and Center Drive, and an easy 20-minute drive from Will Rogers Airport. The modern facility features a 1,000 square-foot meeting room that's perfect for small to mid-sized conferences, business meetings or social gatherings. The meeting room can host up to 100 people. 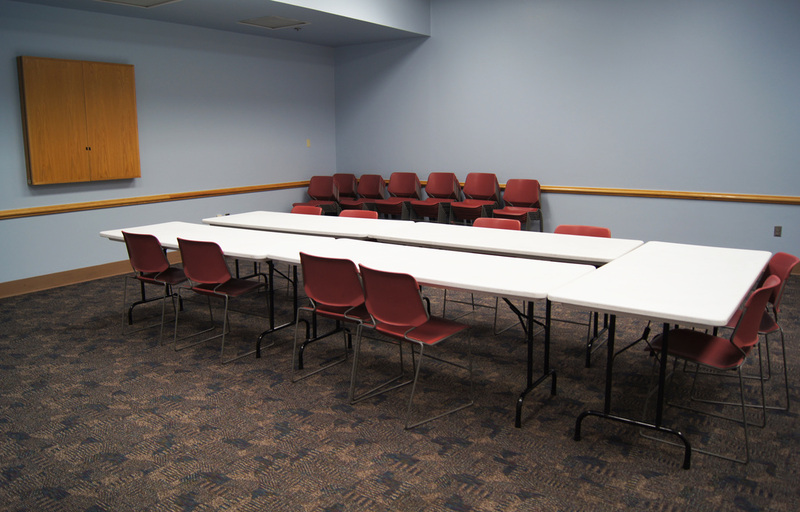 The Midwest City Library offers quaint meeting rooms for rent. One room is just over 1,100 square feet and can be partitioned to make two separate meeting spaces. Opened into one large room, it can easily accommodate 77 people in a classroom style, however, the library staff will be delighted to set the room in the fashion you desire. The auditorium has permanent classroom seating for 72 people and comes equipped with a podium, installed projector and screen. A separate portable projector, microphone and box TV with a DVD player are all included with the meeting space rental. A kitchen is on-site to help accommodate your needs. Please call 732-4828 for rental rates and food and beverage policies. The Midwest City Senior Center offers several rooms for rent on the second and fourth Saturday of each month. One grand room has a seating capacity of 156 and five smaller rooms are available for meetings, wedding receptions, birthday parties or other social events. The Nick Harroz Midwest City Community Center is equipped with newly renovated meeting space that is available seven days a week for parties, weddings, receptions, meal functions, meetings, family reunions and more. The rooms accommodate varying capacities from 49 to 440 guests and are available for rent in session times. The facility offers flexible dining choices by allowing you to select your own caterer. A refundable cleaning deposit is due on the function date. The deposit amount is based on the size of space rented and is separate from the rental price. Each rental patron is responsible for their own set up, tear down and clean up. The Hudiburg Chevrolet Performing Arts Center features a 1,346 seating capacity auditorium with exceptional theatrical capabilities including state-of-the-art lighting and sound with superb acoustics, making it the ideal rental venue for nonprofit and commercial events, concerts, graduating ceremonies, recitals and meetings. The lobby is lit with beautiful sunlight as the large expanse of windows welcome the rays. This venue offers the perfect location for a special event, as it is able to accommodate up to 250 people in a banquet setting. Rose State College Catering is available on site as well as in house audiovisual equipment. The new Rose State College Professional Training and Education Center is located just a few blocks from I-40 and is an ideal location to host your business meetings and training sessions. It features 10 multi-purpose classrooms and computer labs with wireless connectivity. The seminar room features stadium seating for 100 with adjacent breakout rooms. The facility boasts two conference rooms with full audiovisual setups and offers plenty of space in the extra-large hallways for conventions, food buffets and even smaller sized banquets. 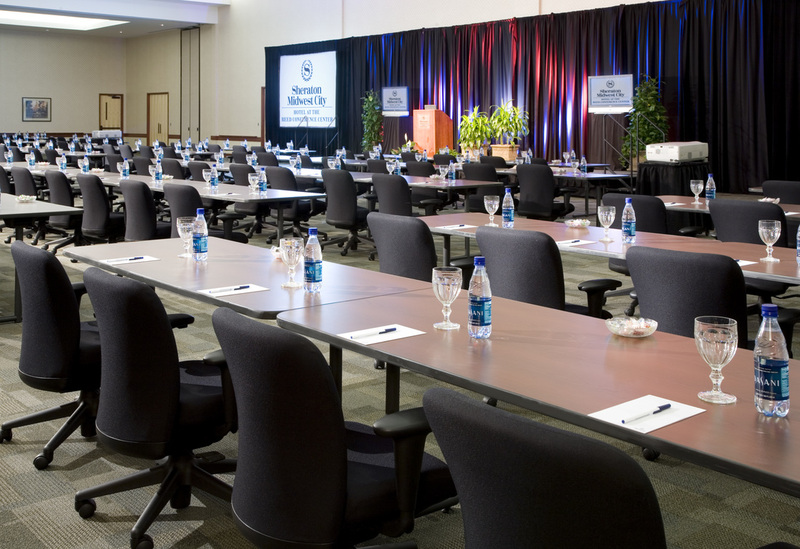 The Sheraton Midwest City Hotel at the Reed Conference Center boasts elegant, well-appointed meeting spaces that are flexible enough to accommodate anything from a small social gathering to a large business conference ready to welcome from 10 to 2,000 people. The spaces include 13,780 square feet of inside event space, 6,000 square feet of exhibit hall space, 13,000 square feet of pre-function space, as well as outside event space. 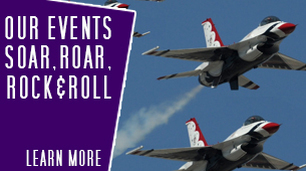 Cutting edge technology and audiovisual equipment is available on-site. Free parking is available for over 500 cars. 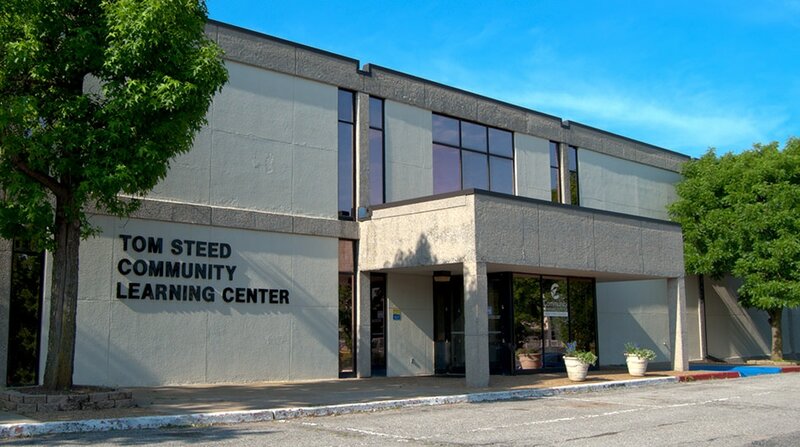 The Tom Steed Community Learning Center has space to accommodate conference and meeting needs conveniently located next to I-40 off of Hudiburg Drive. Spaces that are offered include classrooms, computer labs, conference rooms and a 190-seating capacity auditorium with Wi-Fi available throughout the building.